AccorHotels has announced the opening of the 189-room ibis Kolkata Rajarhat, marking the debut of the brand in the City of Joy, Kolkata. This is the group’s 50th property in India, taking the brand’s total inventory in the country to over 3,000 rooms. 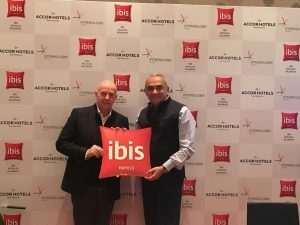 At the recent launch, the multinational hospitality company also announced the arrival of a new strategy for the ibis brand, designed keeping in mind the demands of today’s travellers. Speaking at the launch, Jean-Michel Cassé, COO, AccorHotels, India and South Asia, said, “The ibis brand and hotels in India have been successful in integrating into the hearts of Indians and our partnership with InterGlobe Hotels has been integral to this success. Last year we launched ibism, a campaign curated specially for guests and employees and now with the launch of ibis Kolkata Rajarhat, we start a new revolution in the space of in-demand economy hotels.” Also speaking on the occasion, JB Singh, President and CEO, InterGlobe Hotels, said, “We are thrilled to mark our presence in this city with ibis Kolkata Rajarhat, the first internationally branded economy hotel in Kolkata. The manner in which the city has endured persistently is not only demonstrative of its strength and resilience, but also indicates its potential going forth.” ibis Kolkata Rajarhat features 2,457 sqft of a pillar-less meeting space that can further be divided into three smaller rooms with a capacity for up to 250 guests. Other facilities include Spice It, the multi-cuisine restaurant; a web corner with work stations as well as a 24-hour gymnasium. 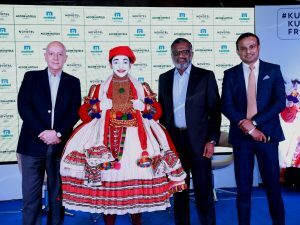 AccorHotels along with the MuthootPappachan Group, has opened its Novotel Kochi Infopark located in the IT Hub of Kakkanad Infopark, making it one of the first international mid-scale brands to debut in the industrial zone. The hotel is a 40-minute drive from the Kochi International Airport and 30-minute drive from the Ernakulam Railway Station. It features 128 rooms including eight suites and a room designed specifically for the specially-abled. “We are delighted to launch our first Novotel property in the commercial capital of Kerala. This is our second brand in the city, ibis Kochi City Centre being the first. We are excited to be associated with the MuthootPappachan Group for Novotel Kochi Infopark given their 131 years of legacy of trust and service excellence.” said Jean-Michel Cassé, Chief Operating Officer – India & South Asia, AccorHotels. Thomas John Muthoot, Chairman & Managing Director, MuthootPappachan Group said, “We are delighted to partner with AccorHotels on the opening of the first Novotel hotel in Kochi. 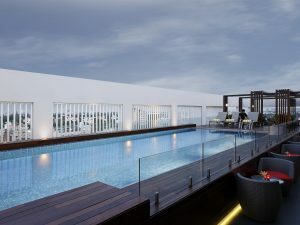 We look forward to working with our partners and ensuring our company’s continued growth in the hospitality segment and the best for all our customers in all diverse businesses initiatives MuthootPappachan Group is into.” Recreational facilities include an infinity pool, gym and a dedicated kid’s corner. Sriperumbudur-Oragadam, Chennai’s upcoming industrial and automobile belt, saw the opening of its first international hotel – Mercure Chennai Sriperumbudur. This marks AccorHotels’ sixth property in Chennai and seventh in Tamil Nadu. Mercure Chennai Sriperumbudur features 100 guest rooms, including six suites. The hotel is located 45-minute drive from Chennai International Airport and an hour’s drive from the historic monuments and beaches of Mahabalipuram. Neeraj Govil, Chief Executive, SMP Management Group said, “We have a long standing association with Chennai and hence, it was quite logical for us to commence our association with AccorHotels from Chennai. 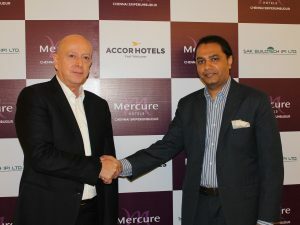 We are privileged to partner with AccorHotels in bringing Mercure, the first international brand to the new and fast-growing industrial corridor of Oragadam.” “It is a proud moment for us to announce our first Mercure in Sriperumbudur. The opening of the hotel marks yet another milestone for AccorHotels’ expansion and growing brand presence in the country,” said Jean-Michel Cassé, Chief Operating Officer, India & South Asia, AccorHotels. “Chennai is an important market for us as it enjoys the unique positioning of being a business hub with a rich cultural heritage. The launch of this hotel has made us the largest hotel operator in Chennai with six hotels and a combined inventory of more than 950 rooms. We are well represented in the Tamil Nadu market with brands like Novotel, Mercure and ibis.” said Cassé. 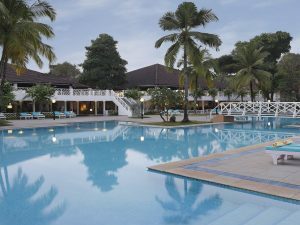 AccorHotels has launched its latest Novotel in partnership with the Alcon Victor Group and its fourth property in Goa called Novotel Goa Dona Sylvia Resort that was earlier Dona Sylvia Resort. Situated in South Goa, the resort features 181 rooms, villas and suites on the Arabian Sea coastline. Varun Albuquerque, Director, Alcon Victor Group, paid tribute to the late Charles Correa who had originally conceptualised and designed the resort. He said “Dona Sylvia Resort has always resonated with old-world charm and new-world luxury, creating an authentic Goan ambience along with its perfect location on Cavelossim Beach. Today through the rebranding of the property, as a Novotel Resort, we look forward to offering an international standard product to our guests.” Also present on the occasion was Jean-Michel Cassé, Chief Operating Officer, India & South Asia, AccorHotels. He said, “The rebranding of Novotel Goa Dona Sylvia Resort strengthens AccorHotels’ presence in the Indian market. With 17 Novotels in the country, we believe this brand is particularly well targeted for the modern Indian traveller and international guests. We are delighted to partner with the Alcon Victor Group and look forward to bringing our expertise in hospitality to this relationship.” Novotel Goa Dona Sylvia Resort features two conference rooms with a capacity to serve about 200 guests. The resort also offers two seaside lawns by the Cavelossim Beach.